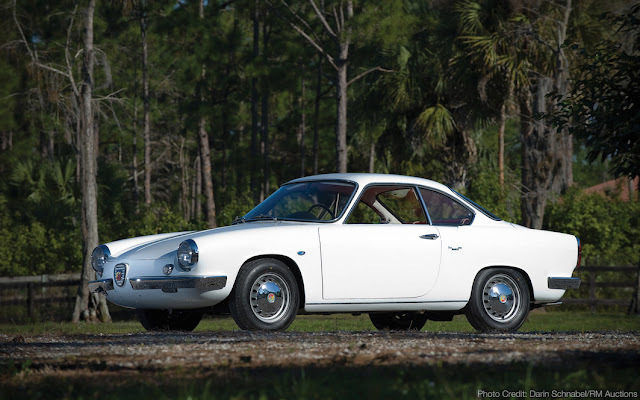 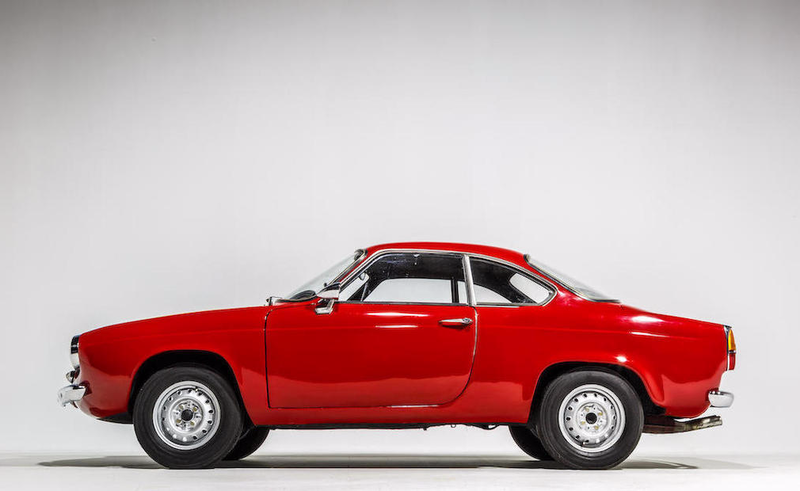 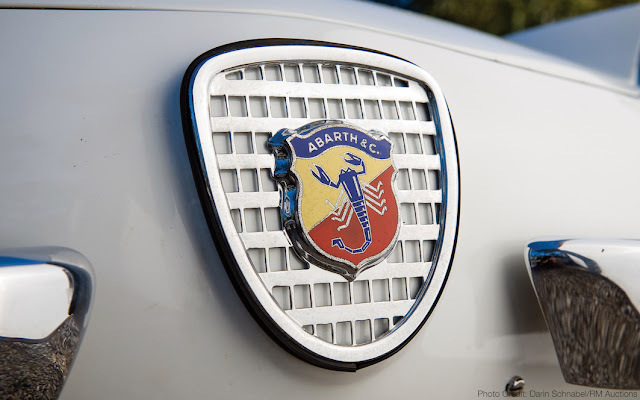 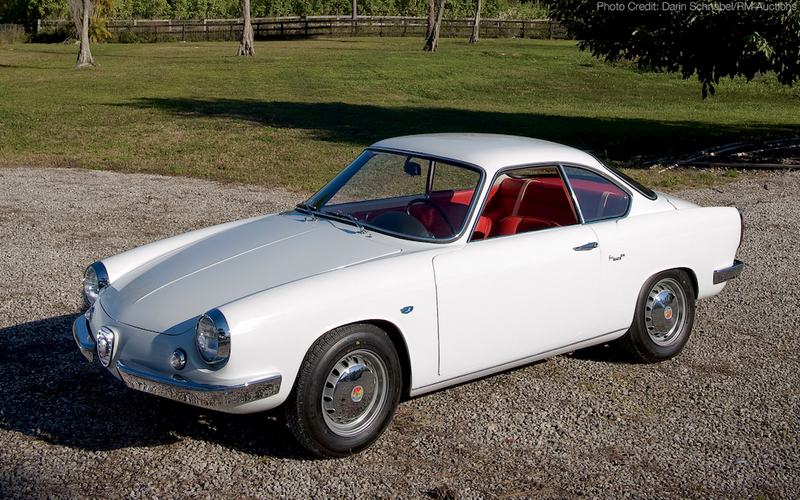 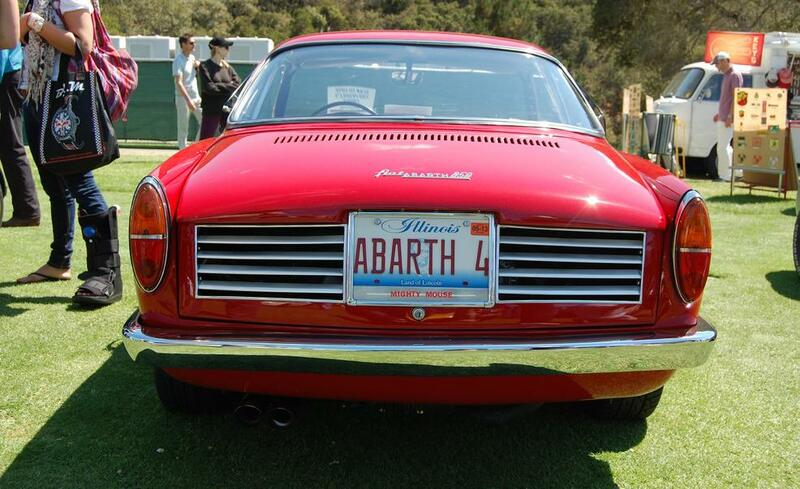 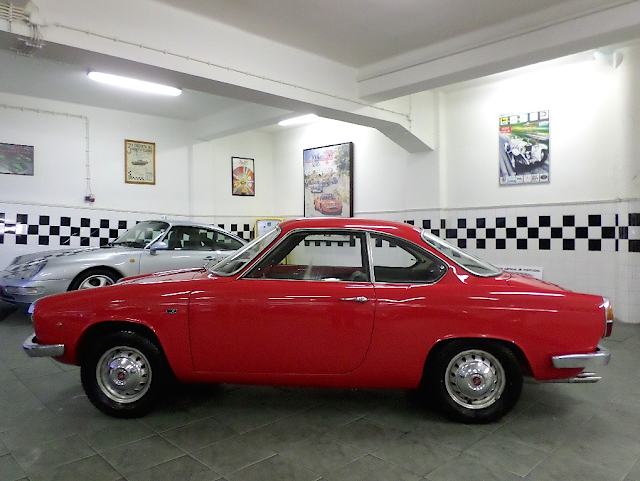 One of Carlo Abarth's most memorably and successful line of vehicles was the 750 GT Zagato Coupé with its distinctive 'Double Bubble' top. 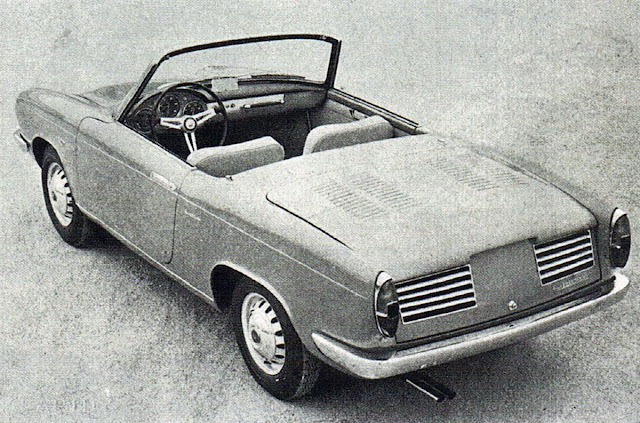 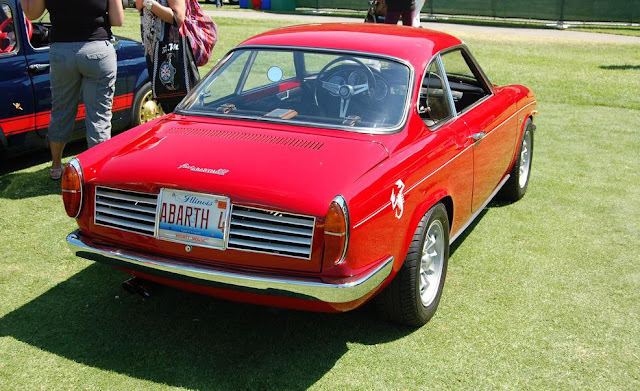 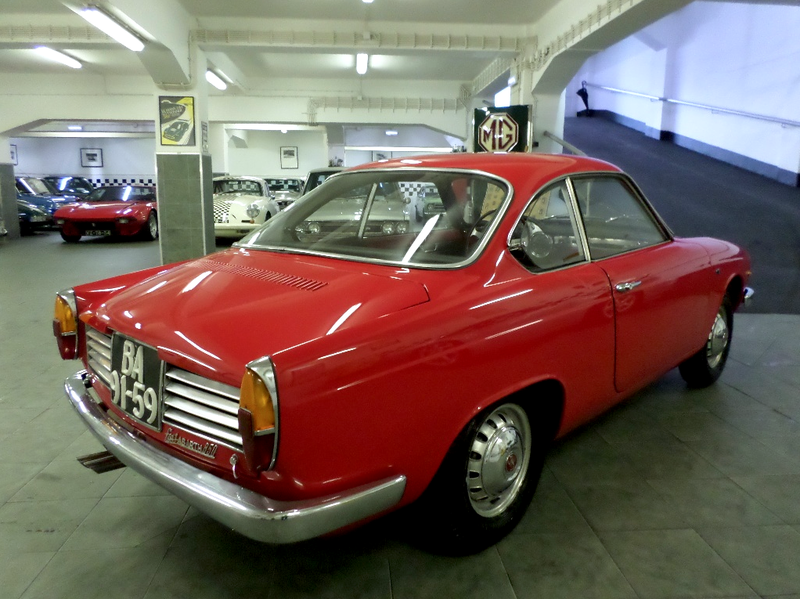 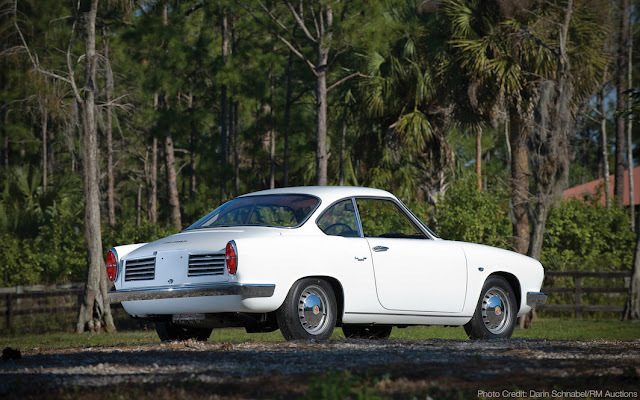 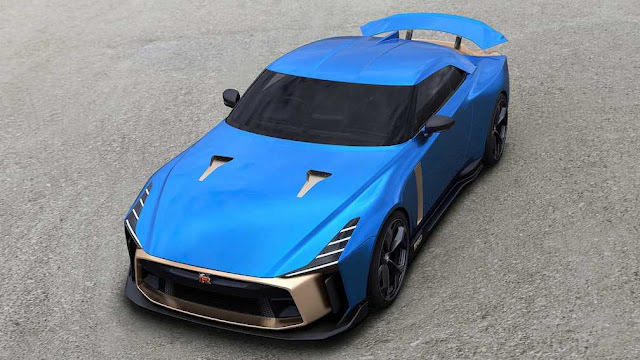 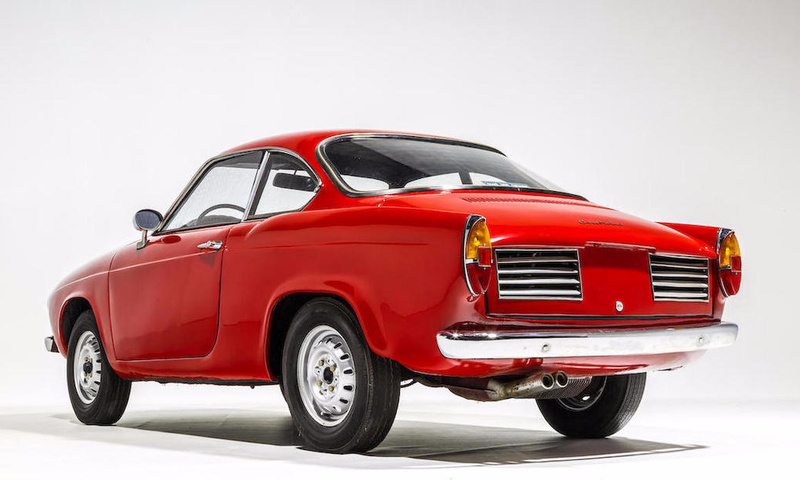 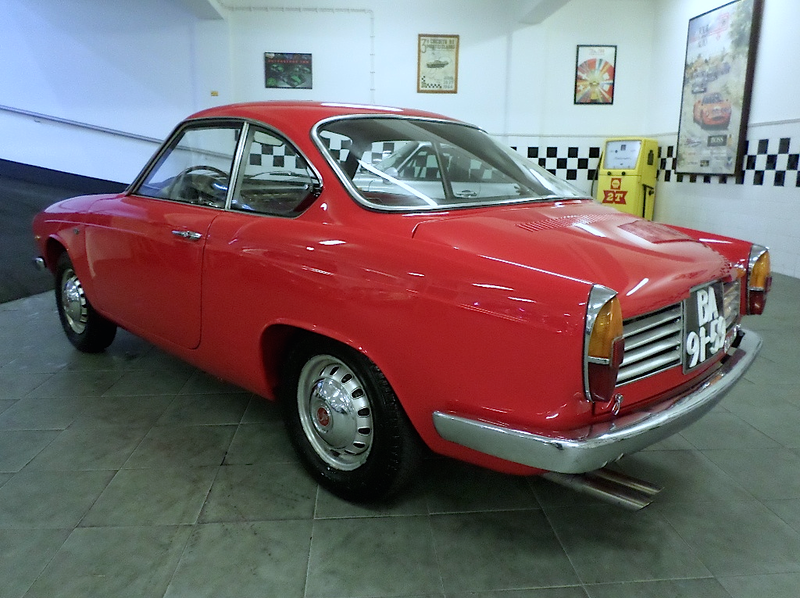 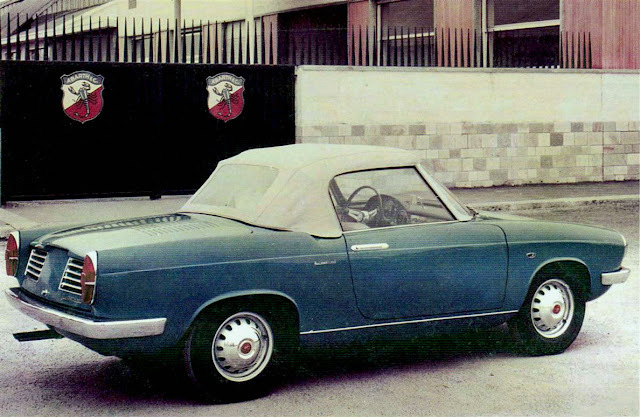 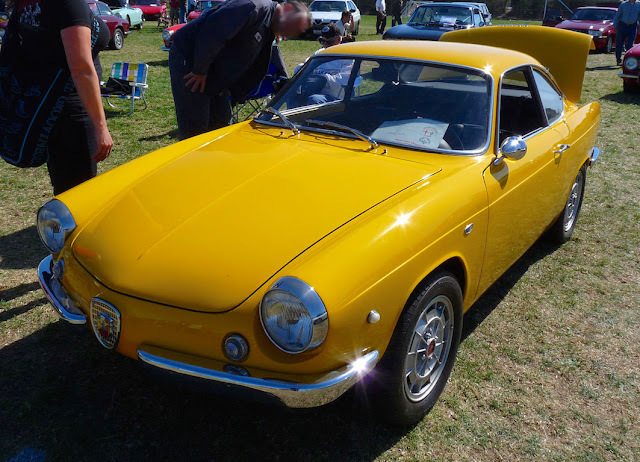 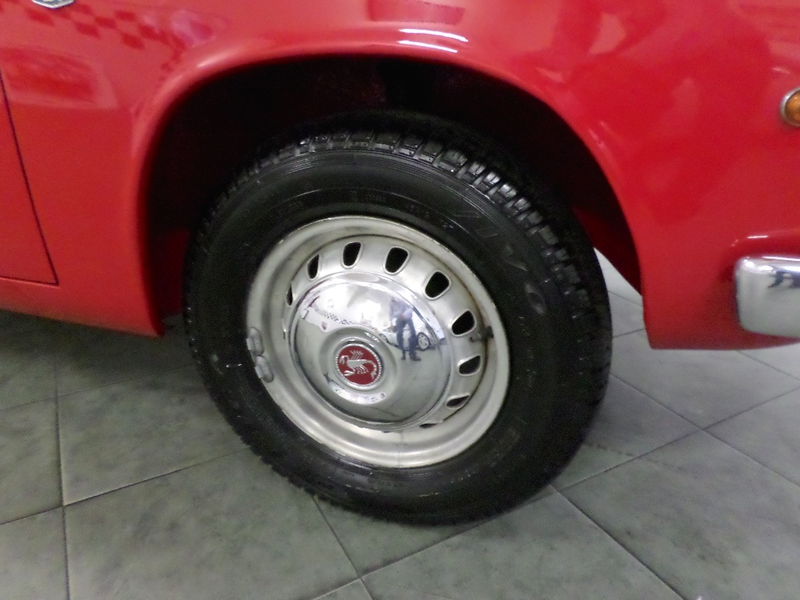 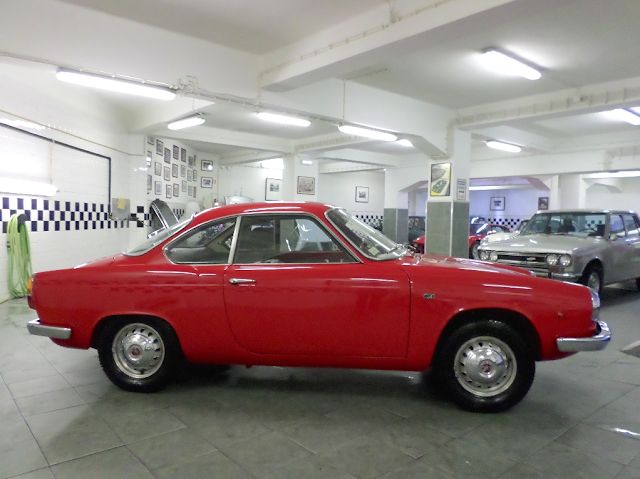 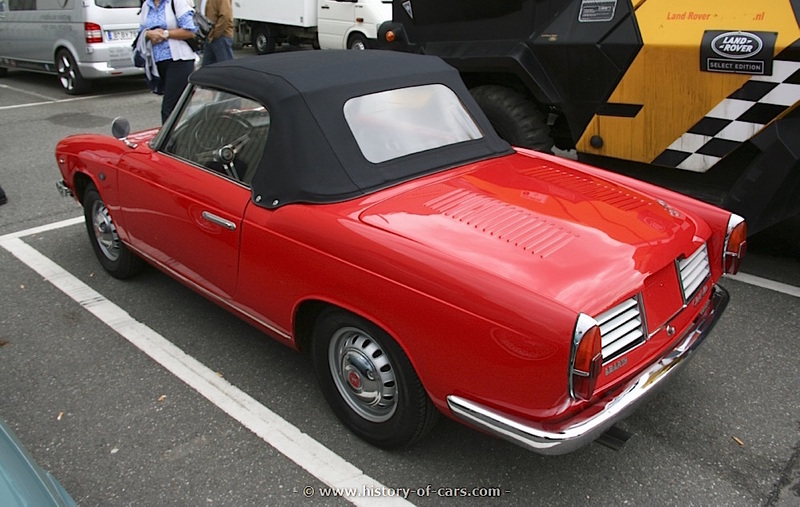 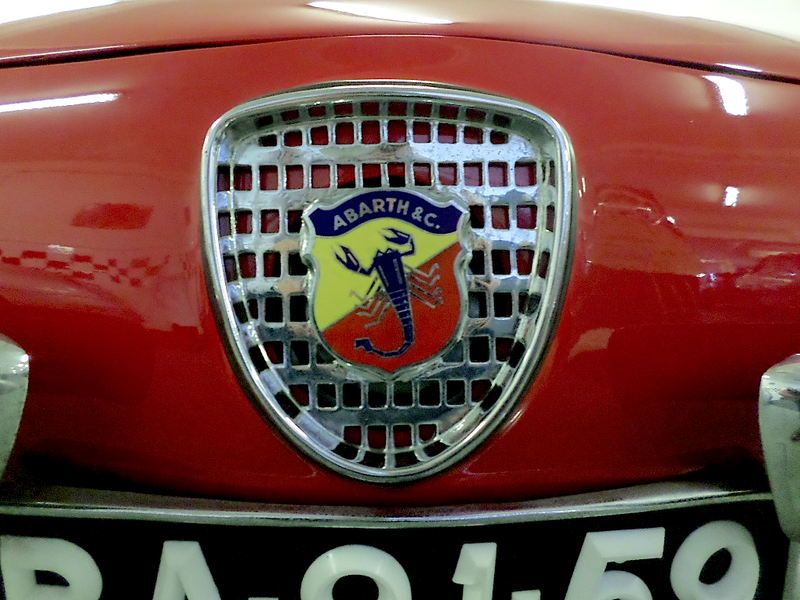 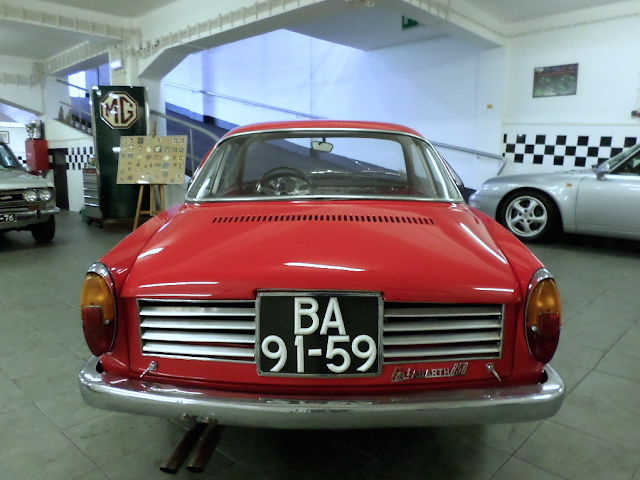 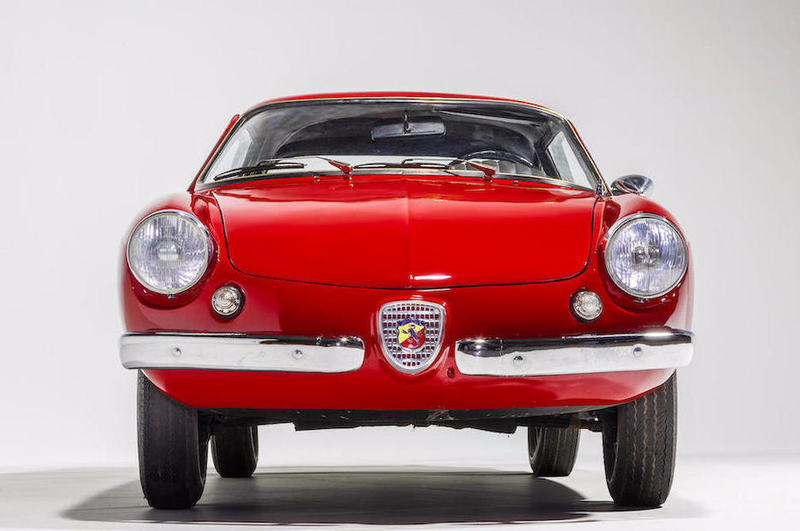 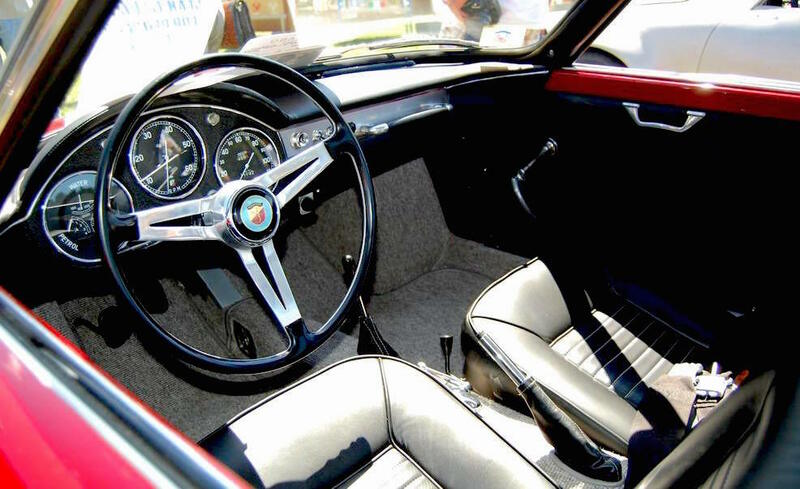 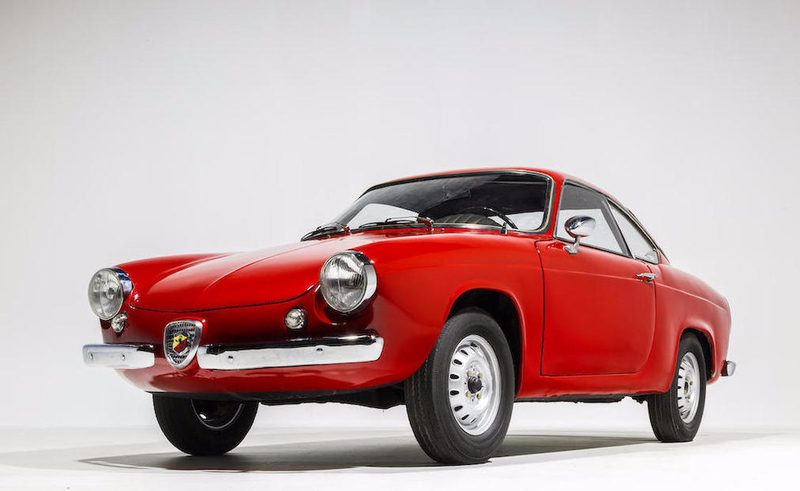 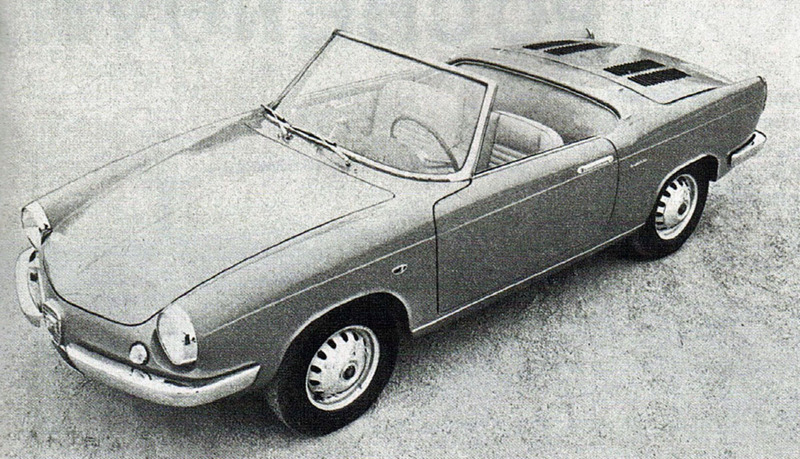 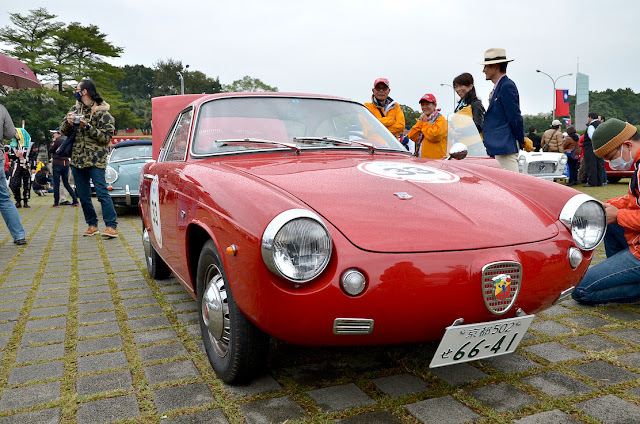 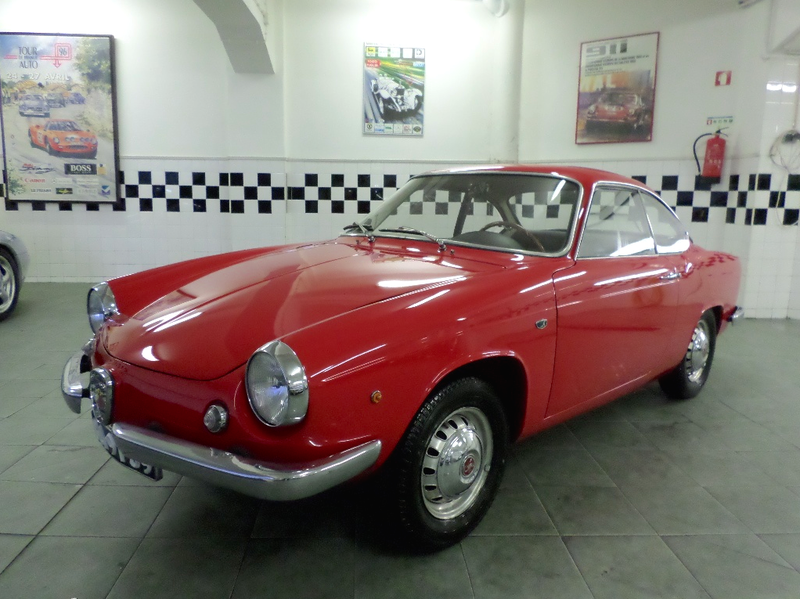 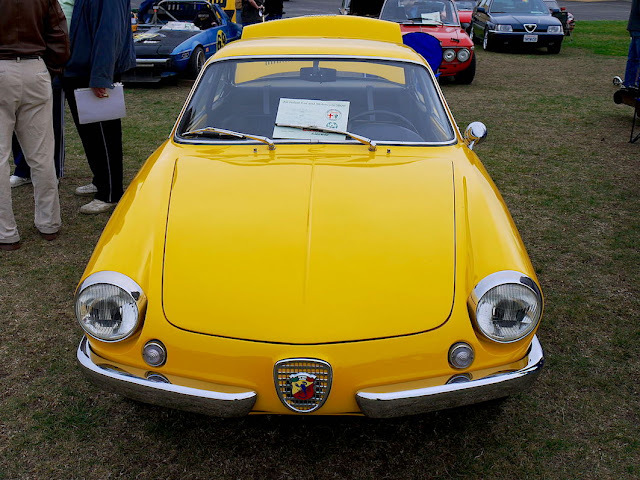 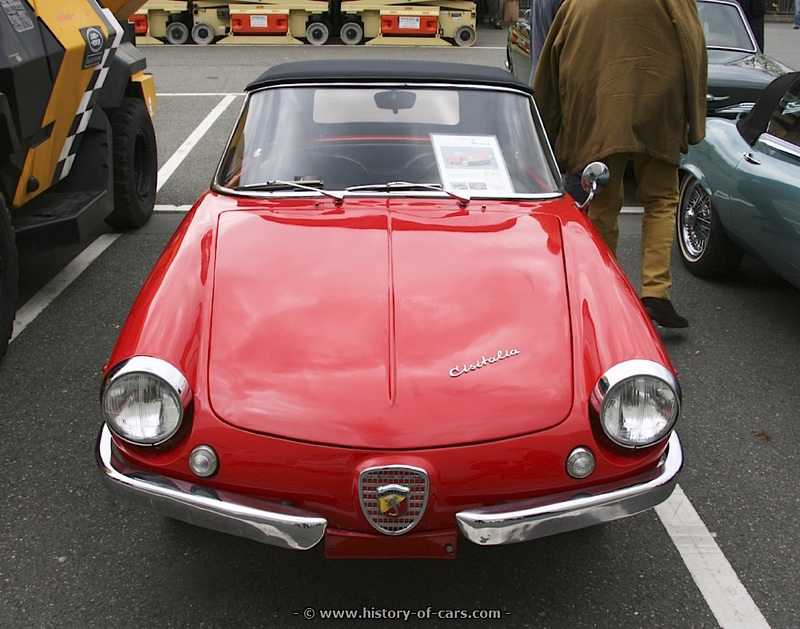 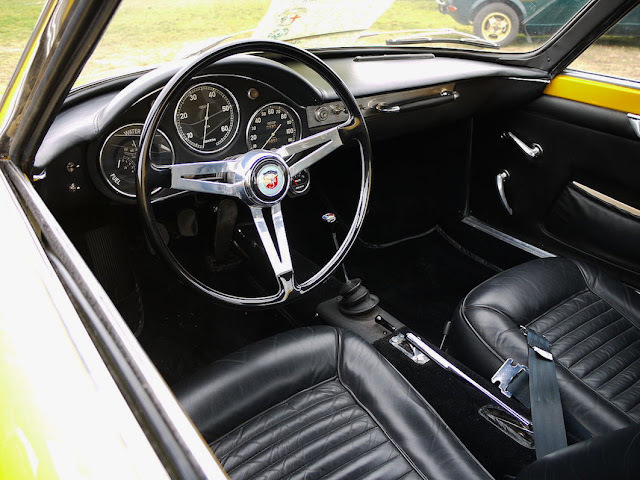 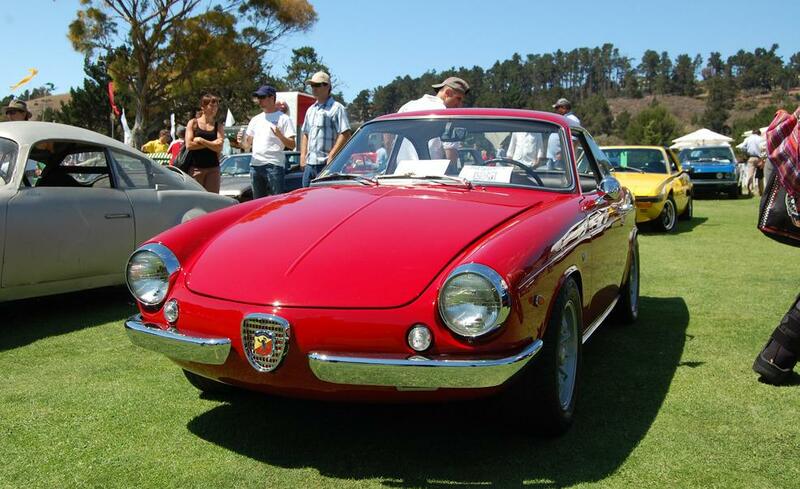 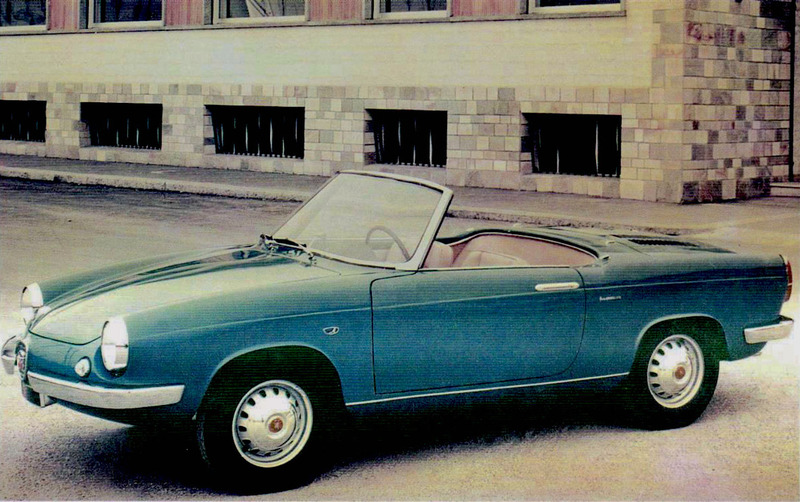 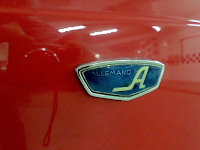 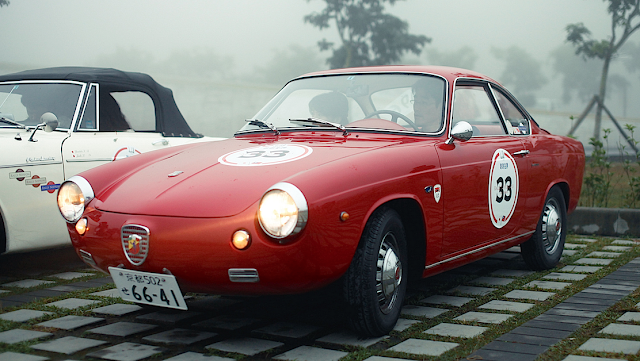 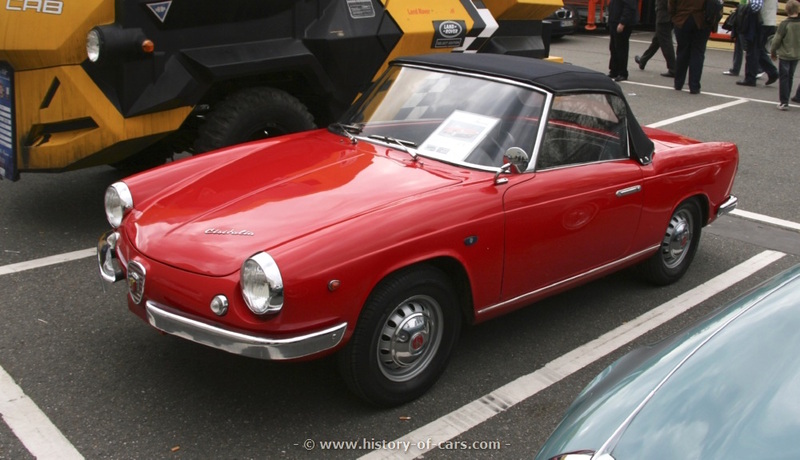 Other successes included the highly collectible Record Monza, in both pushrod and twin cam (Bialbero) versions, and the Allemano Spyder and Coupé. 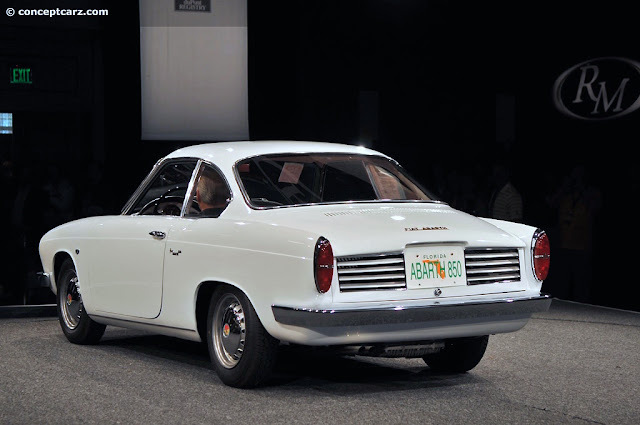 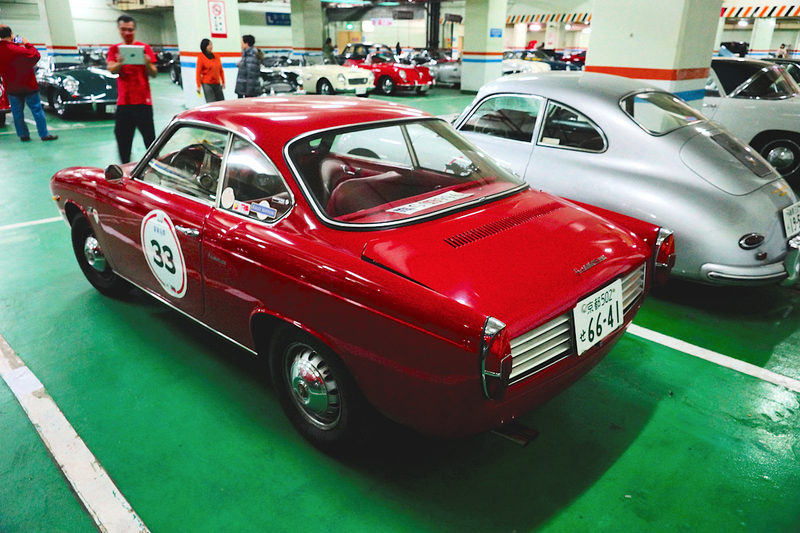 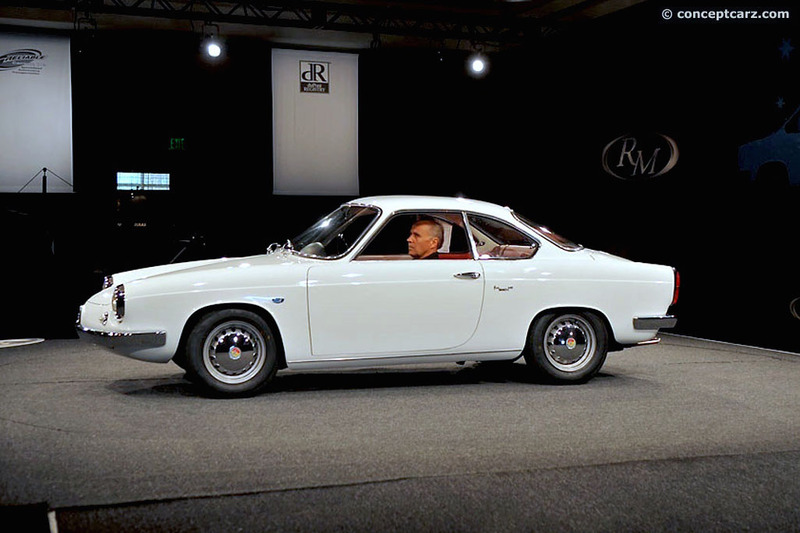 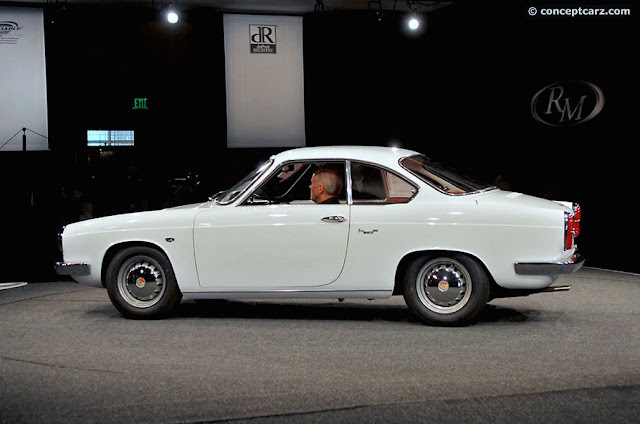 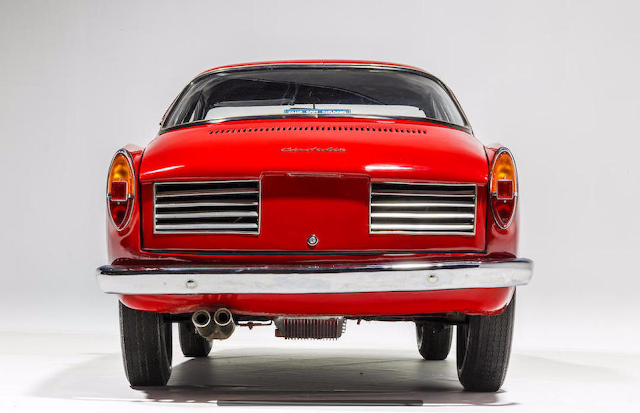 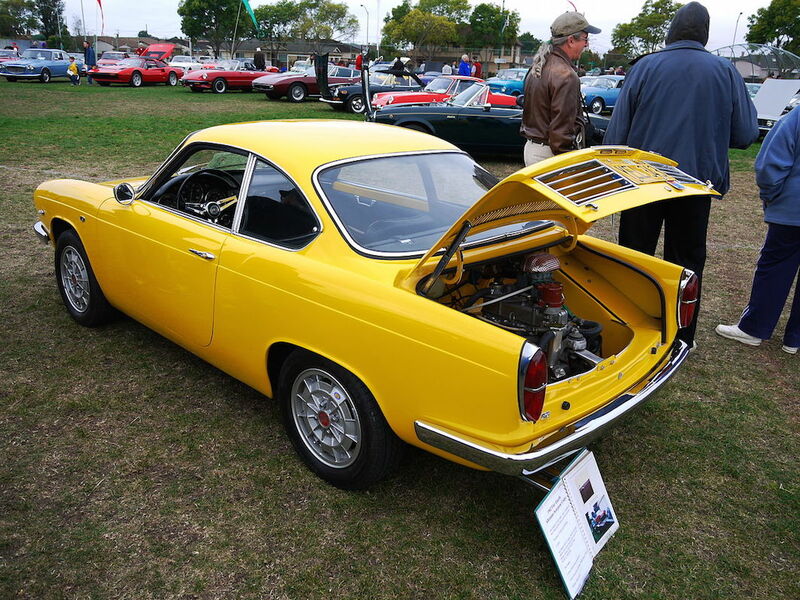 Perhaps the most rare of his creations were the cars built on the 750/ 850 GT chassis. 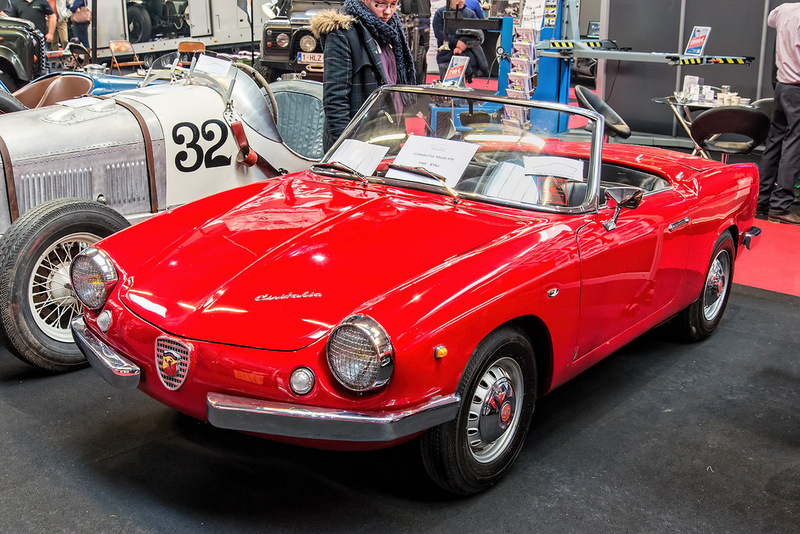 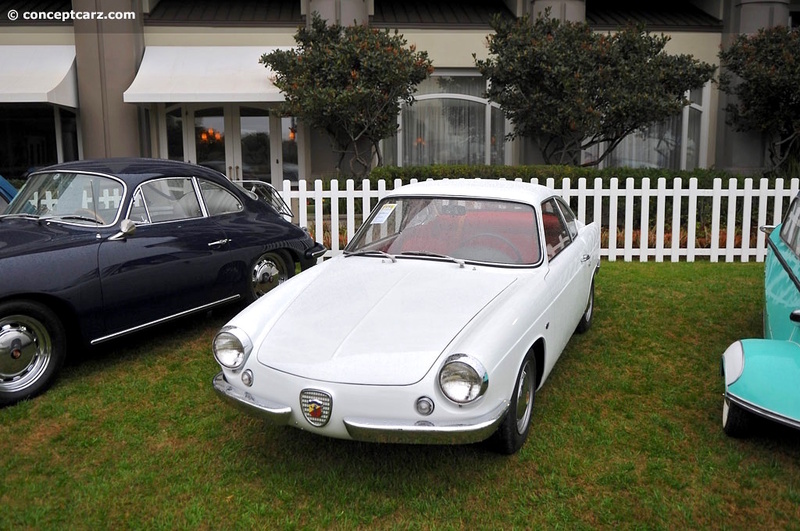 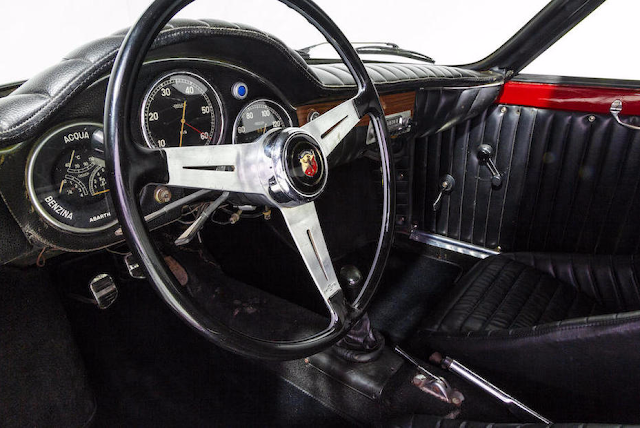 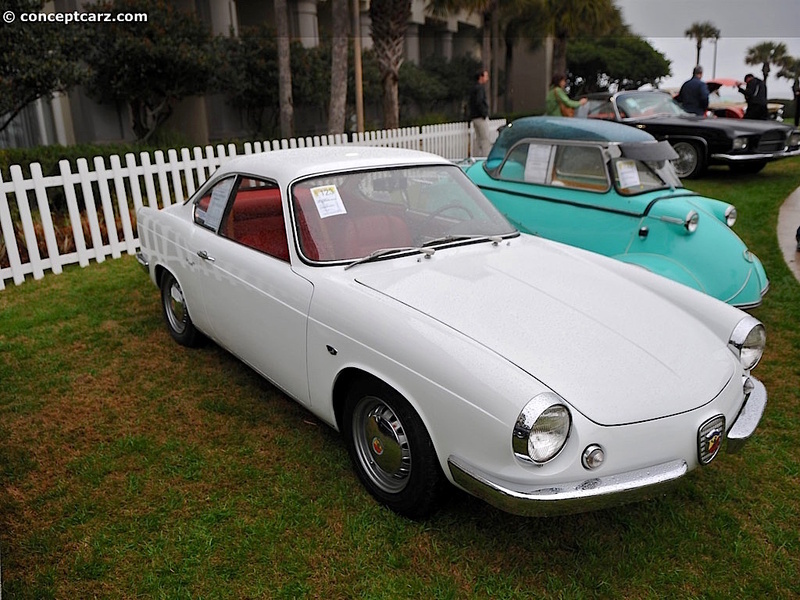 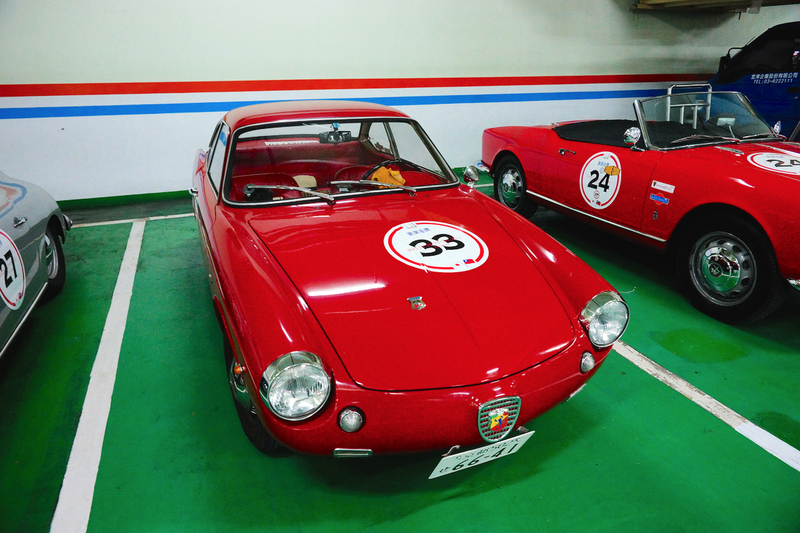 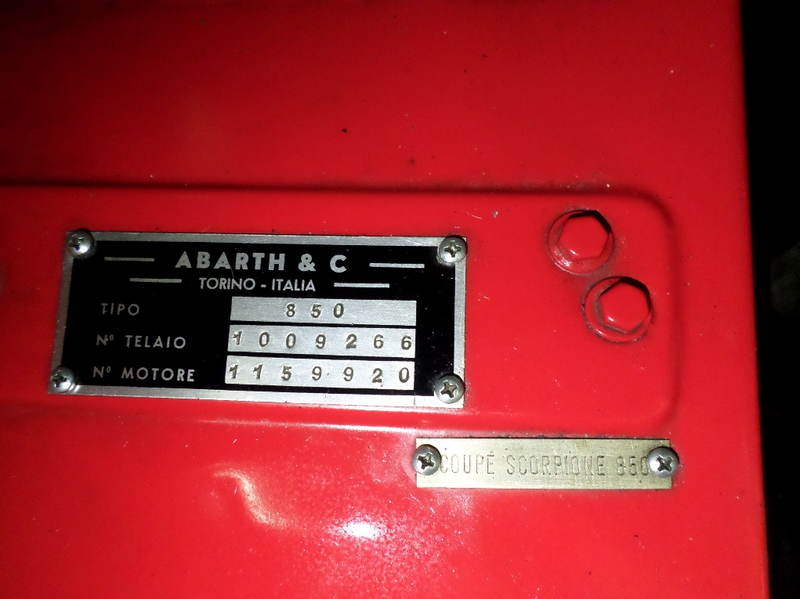 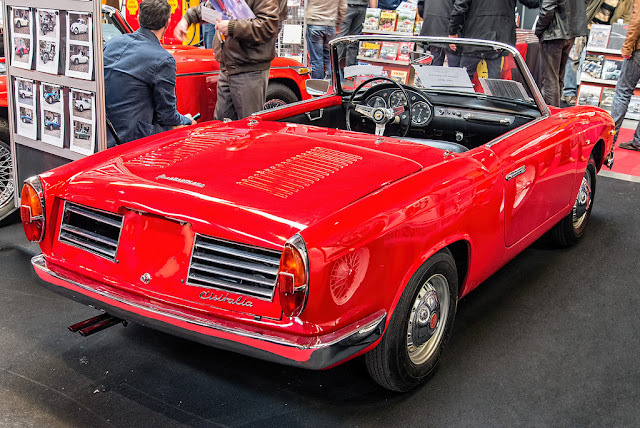 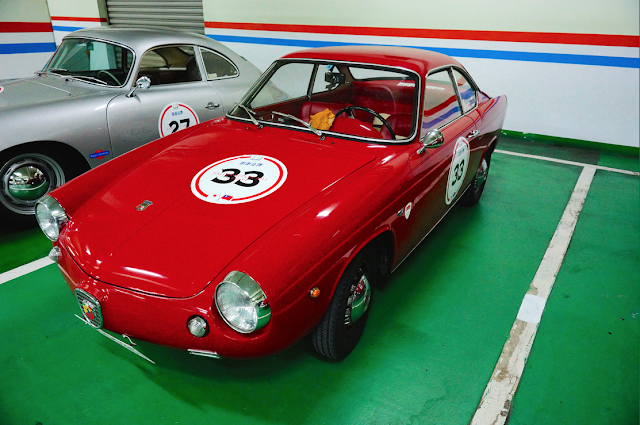 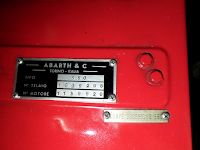 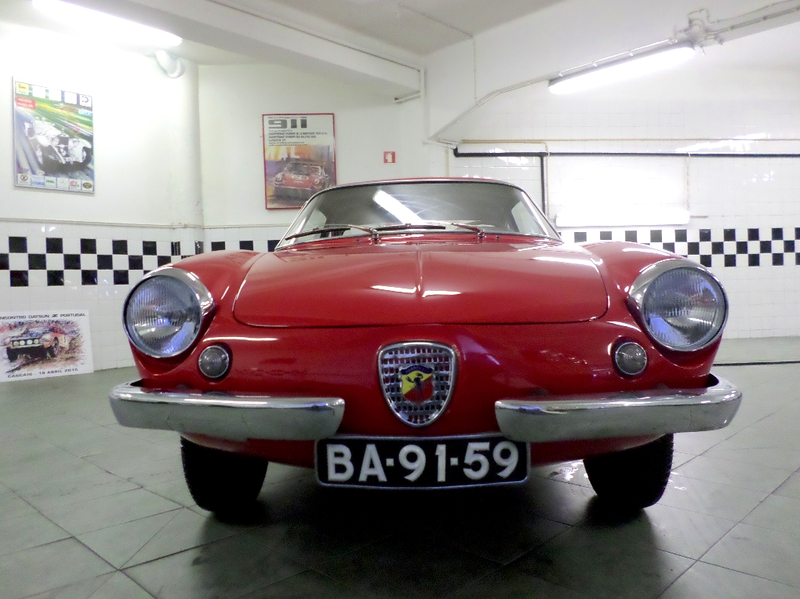 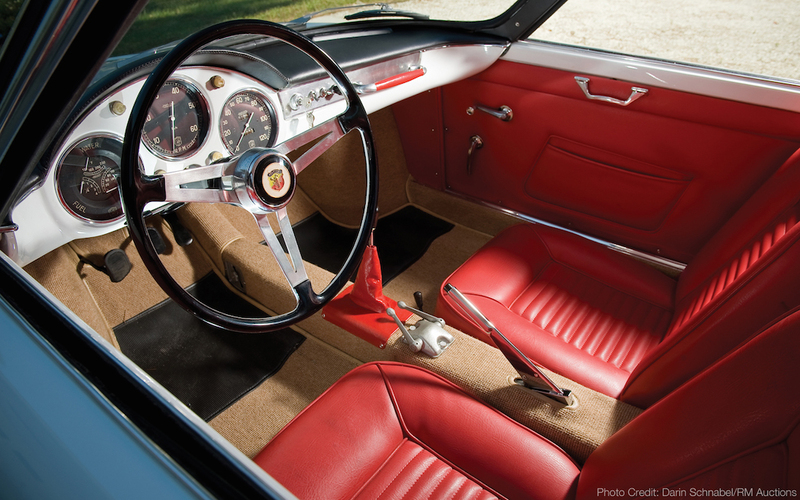 The Abarth 850 Coupé (Scorpione) and Spyder (Riviera) by Allemano were first shown at the Geneve Saloon in 1959 (Spyder photos below). 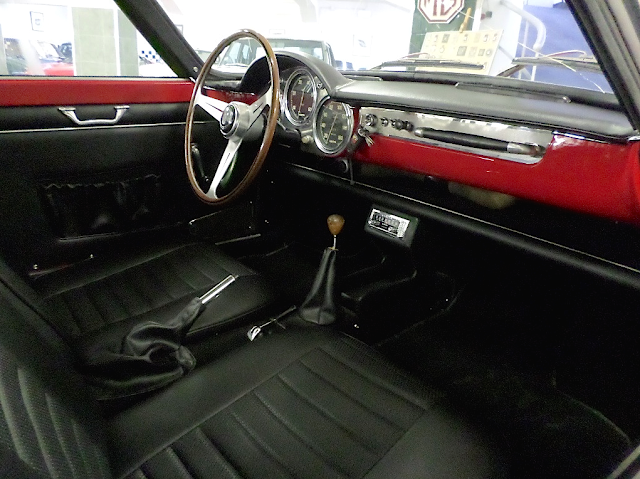 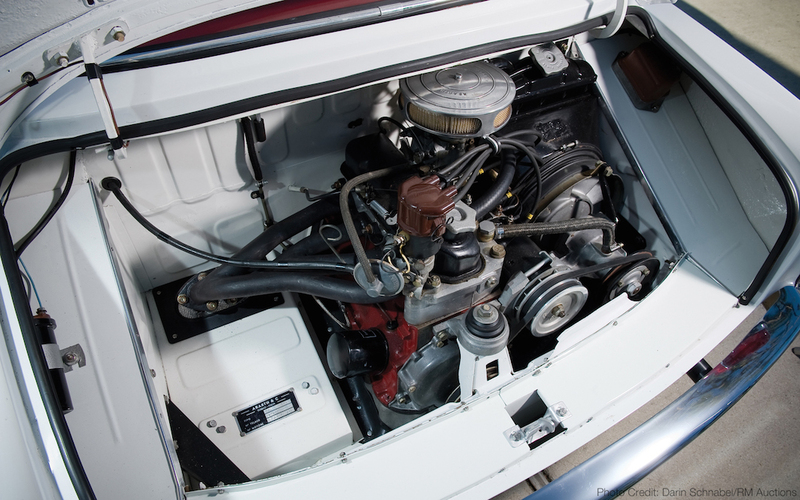 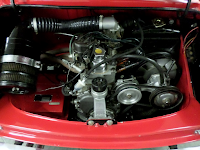 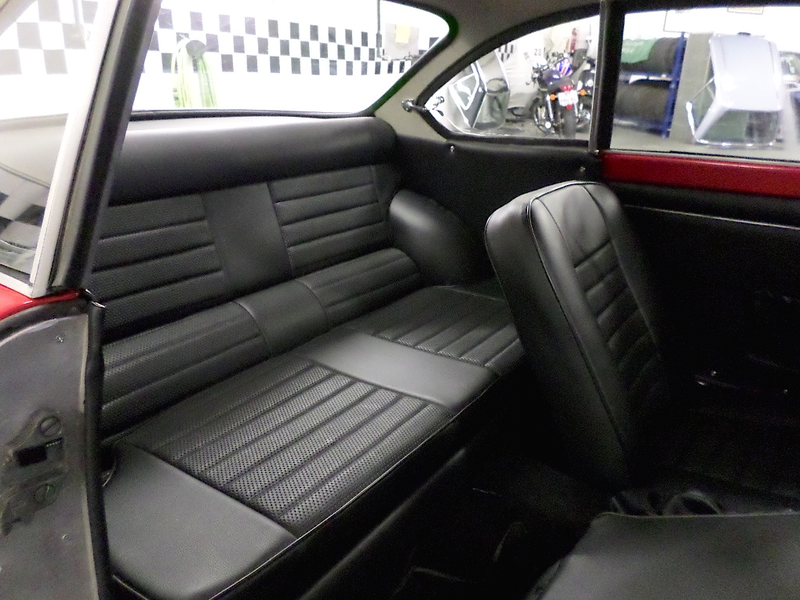 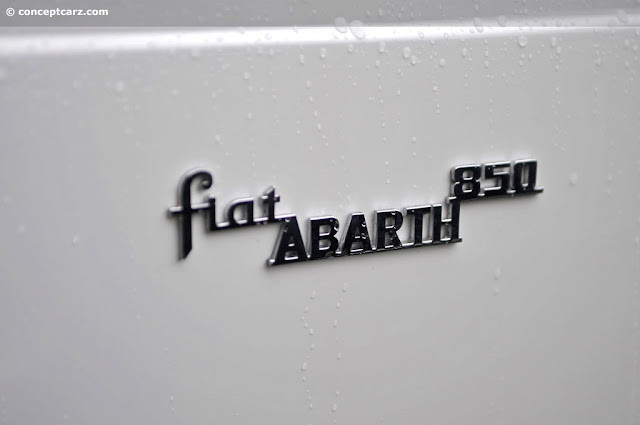 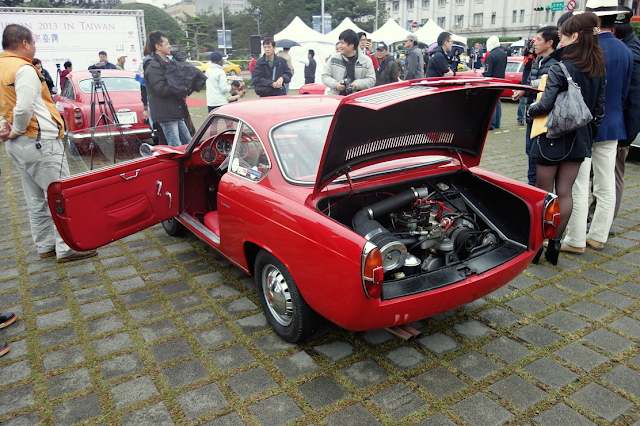 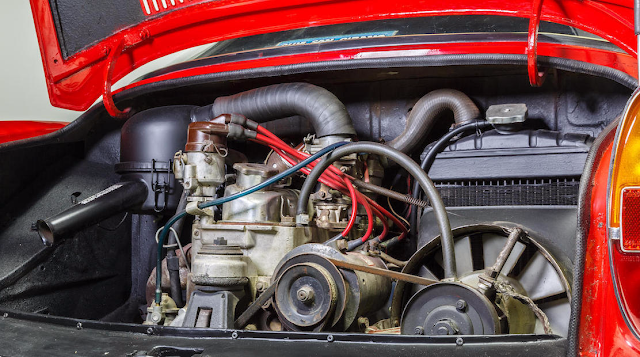 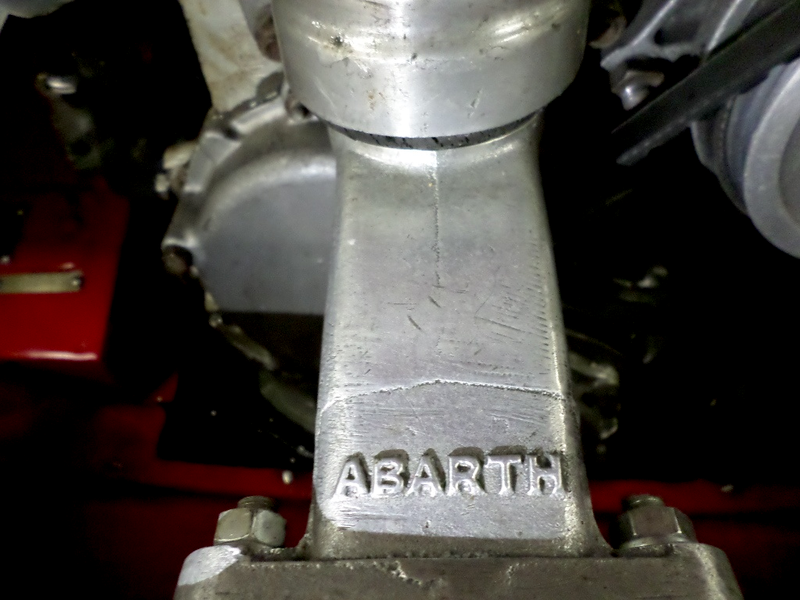 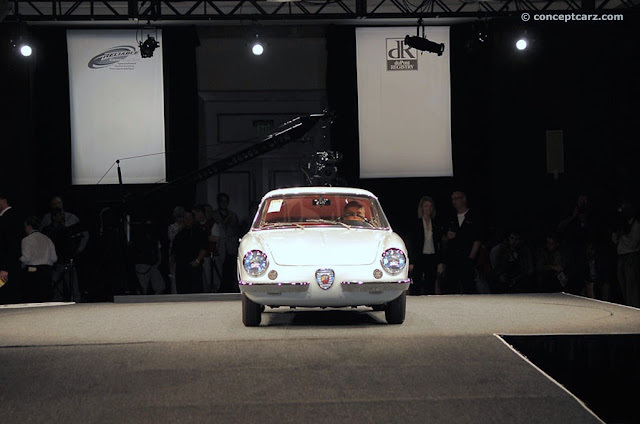 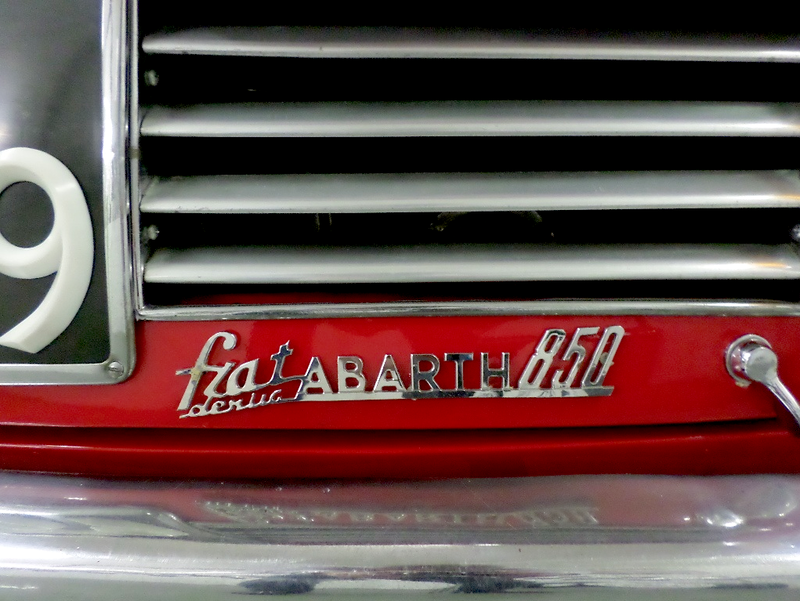 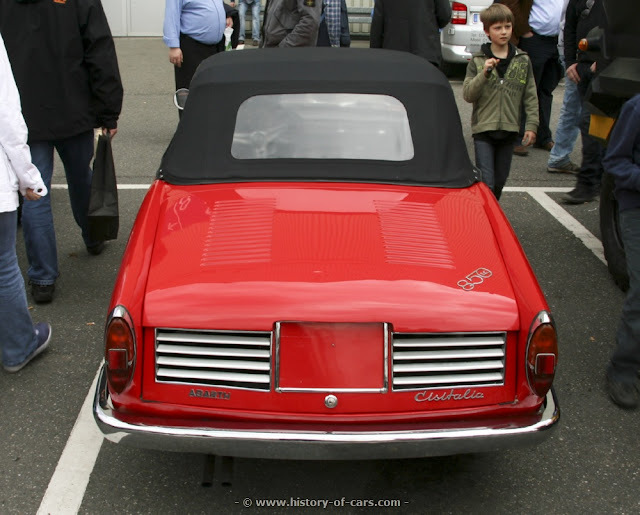 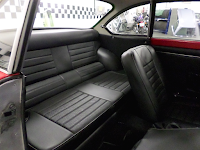 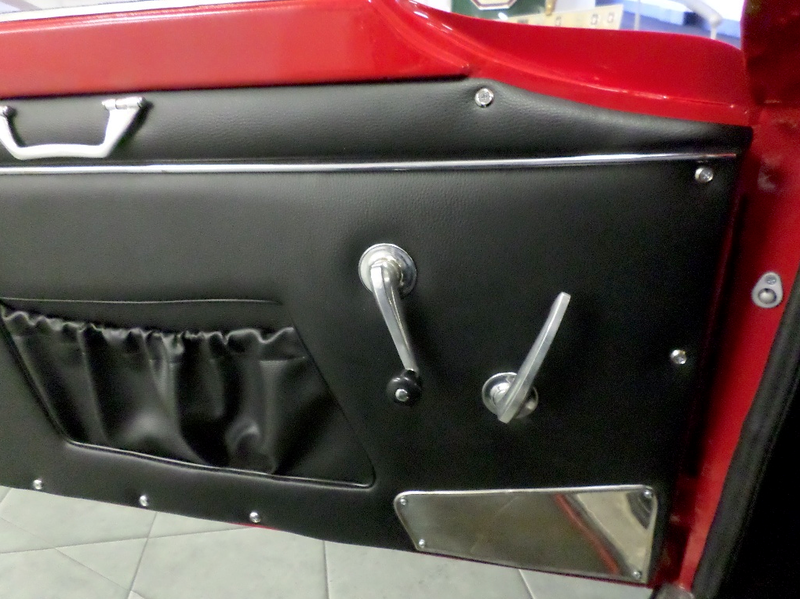 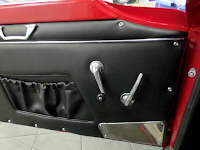 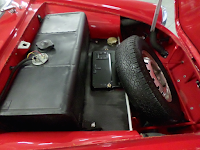 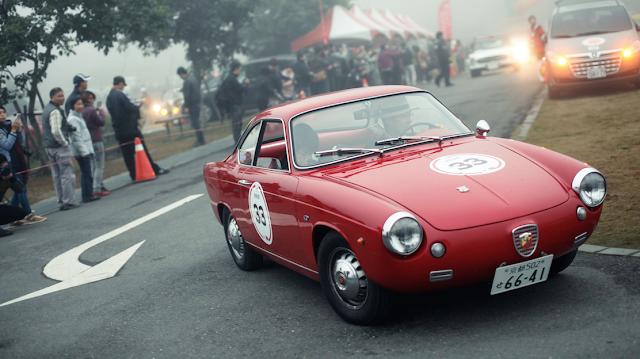 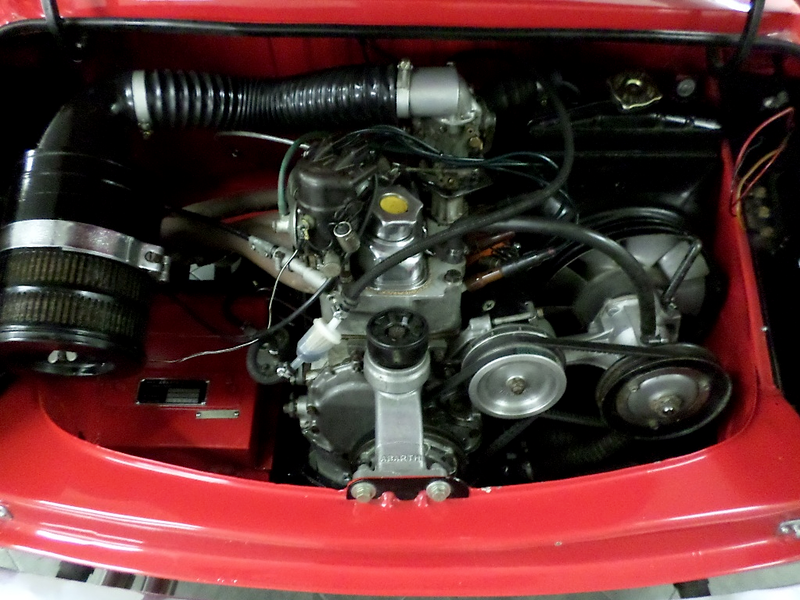 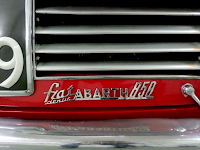 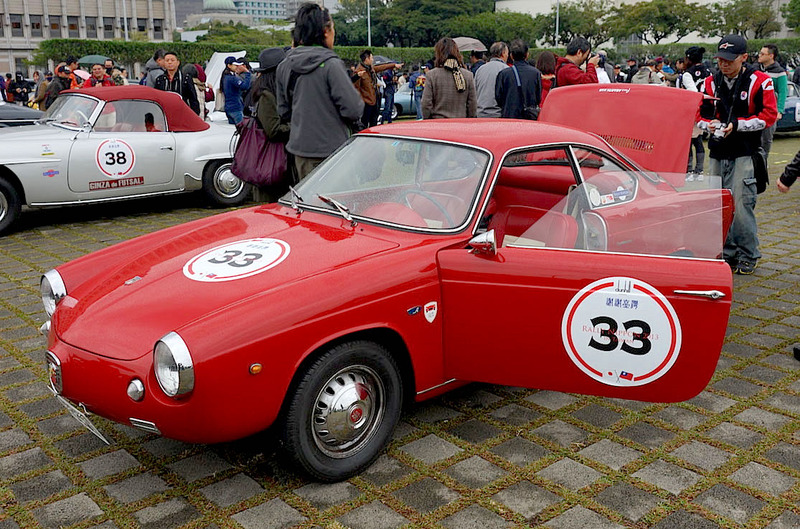 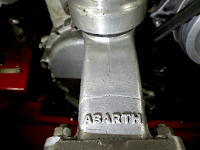 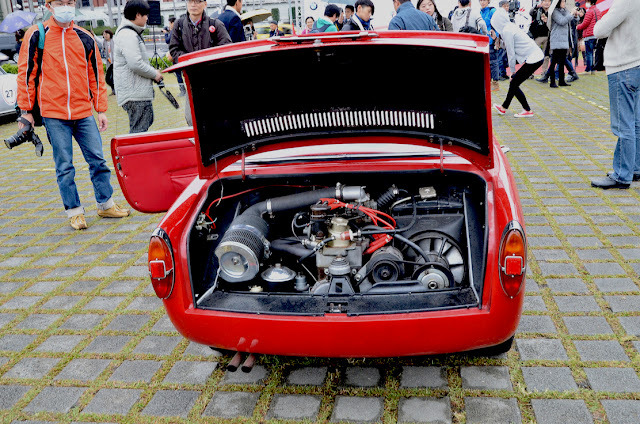 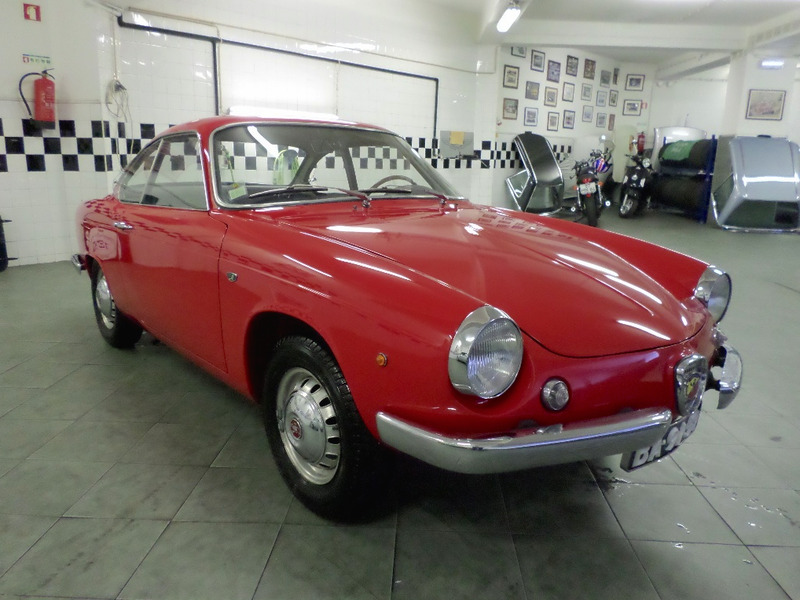 The engine is a Fiat-based 850 single-cam unit which develops 52 CV (38 kW; 51 hp) CUNA at 6000 rpm. 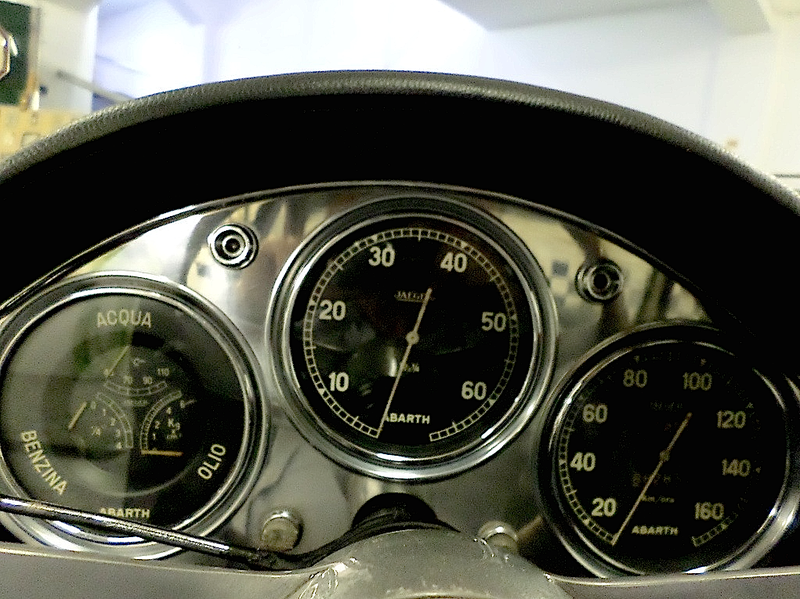 The claimed top speed is 154 km/h (96 mph). 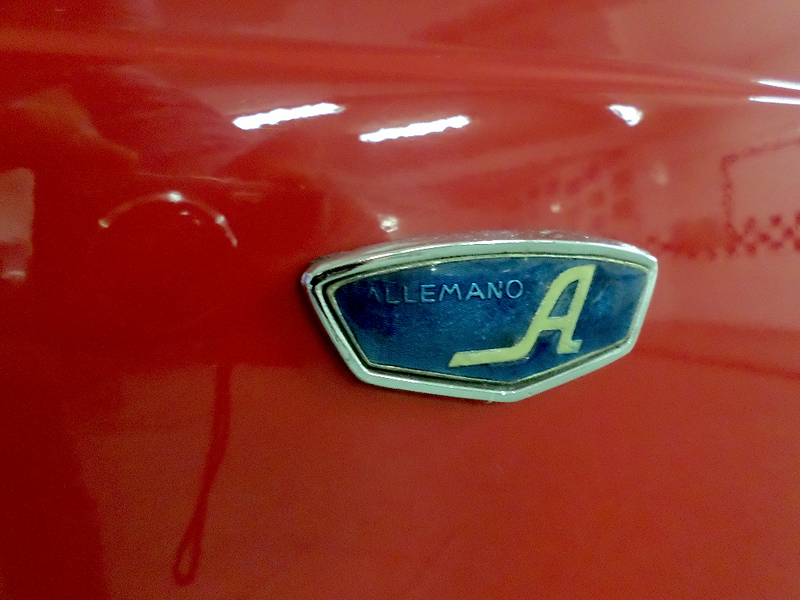 RWD (rear-wheel drive), manual 4-speed gearbox. Accelerations: 0-60 mph 14.3 s. The coupé model was more elegant and comfortable than Zagato's version but heavier and less sporting.